In Strange Borderlands, Ben Berman’s first full-length collection, the fascinating immersion in a new culture is counterbalanced by the uncertainties of fitting in the new and foreign environment. 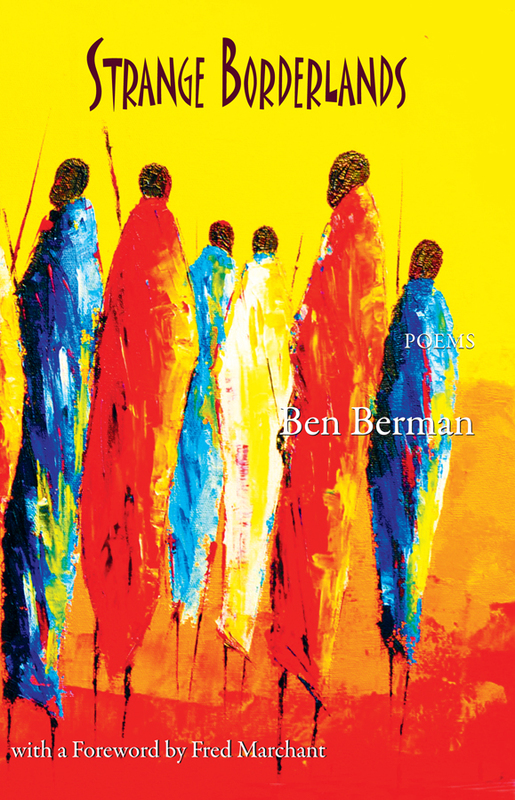 In compelling metrical, free verse and prose poems, Berman provides a vivid narrative of his Peace Corps service in Zimbabwe, the people, the land, and his “struggling with the blurred lines of where things end” when all is done and he’s returned home. This unique collection can go from humorous, to somber to heartbreaking, and is spellbinding from start to finish—a rare achievement. Ben Berman’s wonderful first book, Strange Borderlands, is a masterful study in the power and limits of empathy, of respect for difference in tension with the urgent need for common ground. Beyond his formal and stylistic range, linguistic flexibility, eye for detail, irrepressible wit and powerful feeling, what’s most impressive about this terrific book is Berman’s inclusive generous spirit, the deadly serious imaginative play he exercises in every line of every poem. This is a book to cherish. 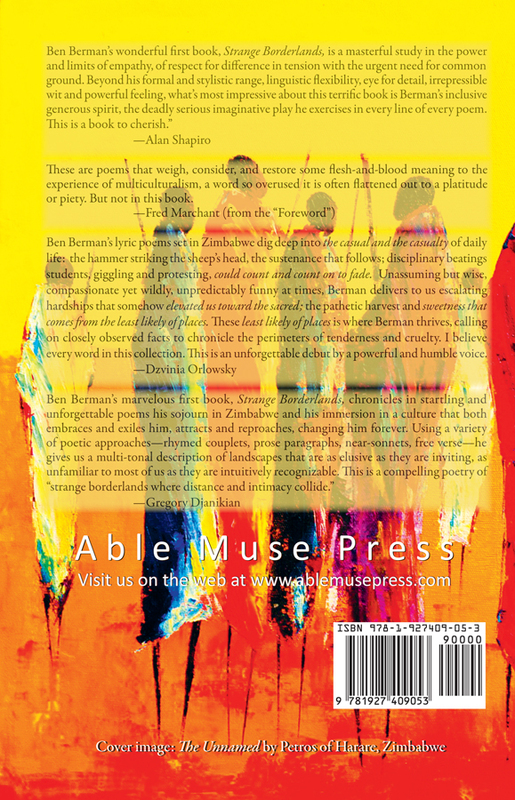 These are poems that weigh, consider, and restore some flesh-and-blood meaning to the experience of multiculturalism, a word so overused it is often flattened out to a platitude or piety. But not in this book. Ben Berman grew up in Maine, served in the Peace Corps in Zimbabwe and currently lives in the Boston area with his wife and daughter. He has received the Erika Mumford Prize from the New England Poetry Club and Artist Fellowships from the Massachusetts Cultural Council and Somerville Arts Council. Strange Borderlands is his first full-length collection.